Finding the perfect dress is one of the most important decisions of the wedding journey and the team at Fleur de Lys Bridal aims to make the experience as special as we can. Our years of experience, award-winning VIP service, stunning designer wedding dress collections and RBA accreditation ensure our brides are in safe and capable hands. Located in the picturesque market town of Saffron Walden, Essex, our bridal shop offers world-leading designer wedding dresses that encompass everything from glitz and glamour to classic design and vintage style. Our bridal collections include Maggie Sottero wedding dresses; designs by Sophia Tolli, Justin Alexander & Alan Hannah as well as Ronald Joyce wedding dresses, presenting the perfect style for every bride-to-be and delivered with a VIP service and Platinum Promise. In addition to our stunning bridal collections, we provide inspired finishing touches including tiaras, shoes and veils, to ensure you look perfect from head to toe on your special day. The same care and quality applies to your bridesmaids too, with exclusive package offers available. Thanks to our Platinum Promise, every bride can be assured that nothing will blemish the quality of your gown or our service. 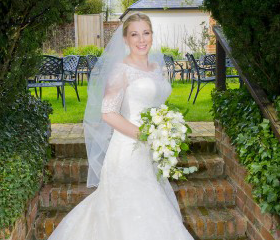 Book your VIP appointment today and find the wedding dress of your dreams at Fleur de Lys Bridal bridal shop in Saffron Walden, Essex. 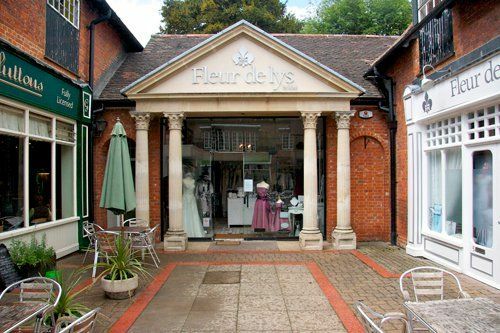 Established in December 2008 as an independent, family run business, Fleur de Lys Bridal was founded on our promise to ensure every bride has only the best bridal gown shopping experience. 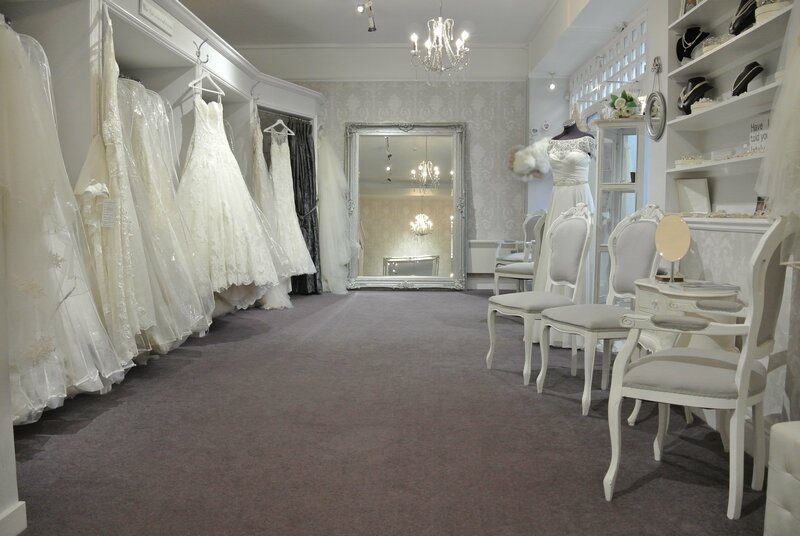 Our lovely bridal boutique encompasses the atmosphere we want our brides to enjoy when deciding on their dress; romantically designed to offer a luxurious environment for your VIP bridal appointment. 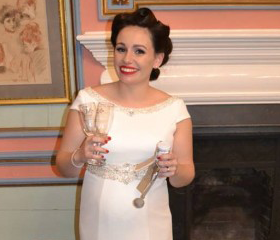 We have specific areas to suit every bride, including vintage, destination weddings, sparkle and glamour. We believe our team of professional bridal consultants are the best in the business, and our customers tell us that too. With our comprehensive range of designer wedding dresses, varying in design, colour and detail, our team are readily available to offer their assistance in providing help with styling, alterations and can even be there personally to dress you on your wedding day. 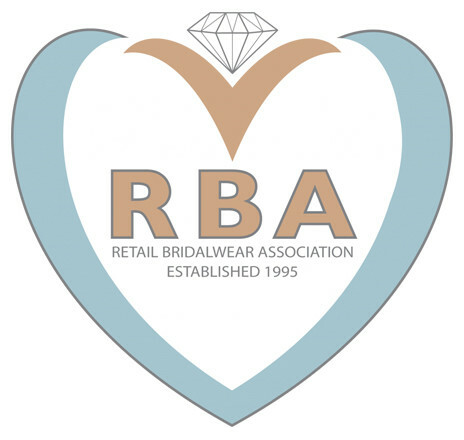 In 2014, Fleur de Lys Bridal was awarded the highly sought-after Retail Bridalwear Association (RBA) accreditation. We are incredibly proud that our dedication to our brides has been recognised by such an esteemed association. A bridal shop with over five years’ trading experience. A business that is financially sound, offering professional standards of care and service with high standards of stock and decor. Trained staff dedicated to the welfare of the bride and groom. Numerous thank you notes and photographs from satisfied clients. A privately-owned shop, often family run, with no connection to impersonal chain stores. You’ll have your own 90 minute VIP appointment, an exclusive appointment which is tailored around your style, body shape and wedding theme. Our friendly bridal experts are dedicated to finding your perfect dress and providing a memorable experience that you can cherish with your loved ones. Not sure where to start for your big day? Get your very own wedding planner with us today!